At 978 metres, in witch 807 metres is free fall, this is the worlds tallest waterfall. It falls out from the edge of the Auyantepui Mountain and is part of Canaima National Park. Although it is hidden deep inside the jungle, it is one of Venezuela's most popular tourist sights. The best way to reach the waterfall is through the river, June to December, when the river is deep enough. 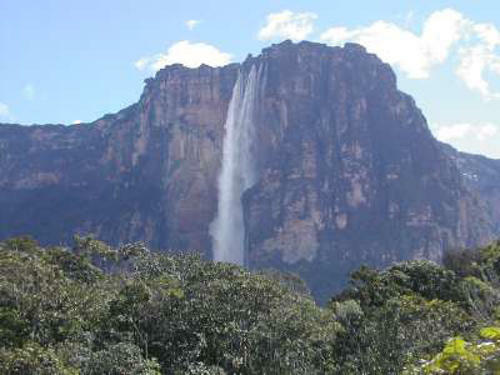 The Angel Falls are listed as an UNESCO World Heritage Site and is also considered one of the New 7 Wonders of Nature.